Gross motor skills are the skills we use to move our arms, legs, and torso in a functional manner. Gross motor skills involve the large muscles of the body that enable such functions as walking, kicking, sitting upright, lifting, and throwing a ball. A person’s gross motor skills depend on both muscle tone and strength. Gross Motor skills are important for major body movement such as walking, maintaining balance, coordination, jumping, and reaching. Raises head slightly off floor or bed when on stomach; holds head up momentarily when supported; alternates kicking legs when on back. Walks with heel-toe pattern, seldom falls; walks sideways and backwards; runs stiffly; stands on one foot with help; kicks large ball forward after demonstration; manages riding toys. Walks up stairs one step at a time with no railing; runs well; briefly stands on one foot; throws ball overhead; climbs on play equipment-ladders, slides, etc. 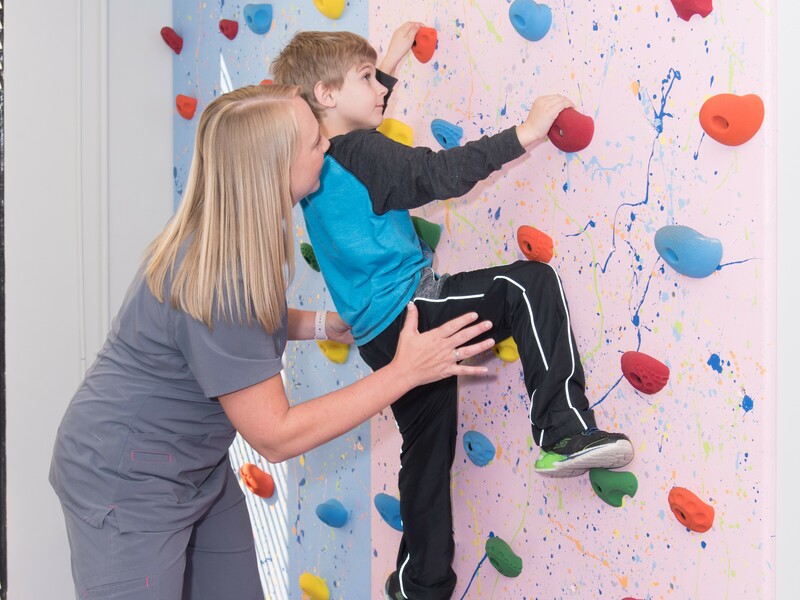 If you have concerns about your child’s Gross Motor Development, contact us today for a FREE screening!